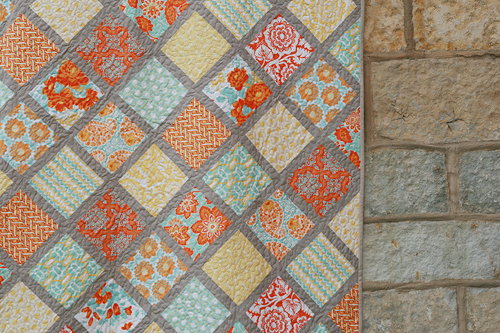 I'm pretty embarrassed to post this quilt today. Not because I don't love it - I definitely do. 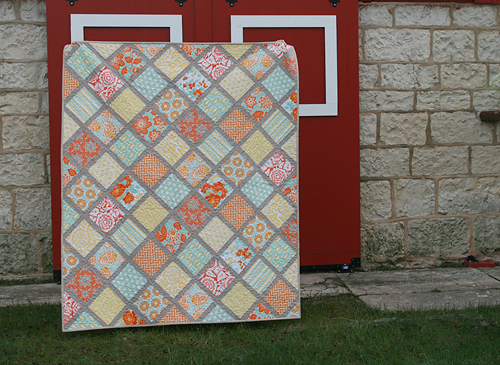 But I finished this quilt top over 1 year ago and it sat for that long, waiting patiently to be quilted and finished. I'm not sure what exactly took me so long. Other projects with deadlines mostly. Forgetting it was in my pile of quilt tops as well. 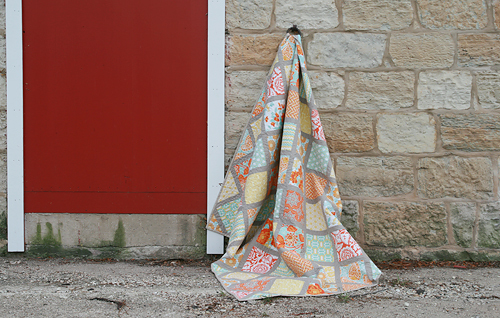 It wasn't until the Naperville Modern Quilt Guild did a tangerine/aqua challenge that I was finally motivated to finish it! 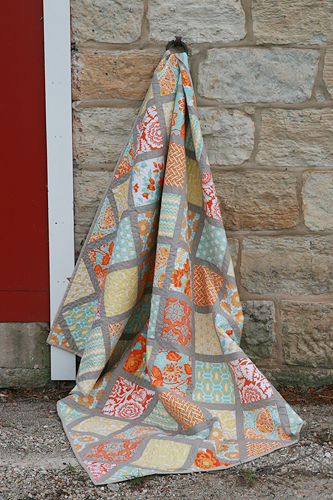 The fabric for this one is from Joel Dewberry's Heirloom collection in the Citrine palette. The sashing is Kona Solids in Stone. 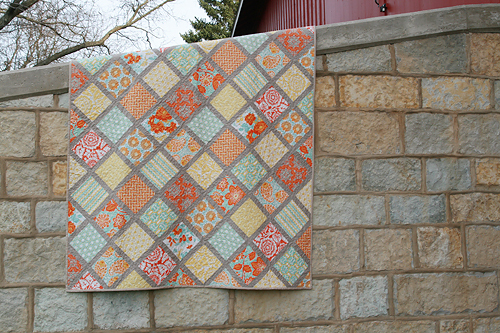 I cut my squares to 7.5″ (unfinished) and my sashing is 1.75″ wide (unfinished). I love the on point, simple look of the design. The finished quilt measures around 61" x 75", so it's a good size for cuddling under on the couch. 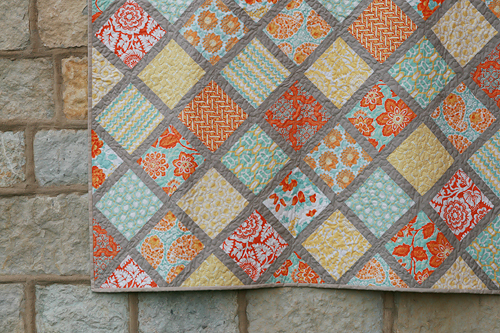 It took me awhile to figure out how I wanted to quilt this one. In the end, I decided on a free motion meandering. I kind of wish I had done straight lines, but I really wanted to get it done by the NMQG challenge meeting deadline and honestly, I felt like the quilt top had sat for long enough and I needed to just get it done.